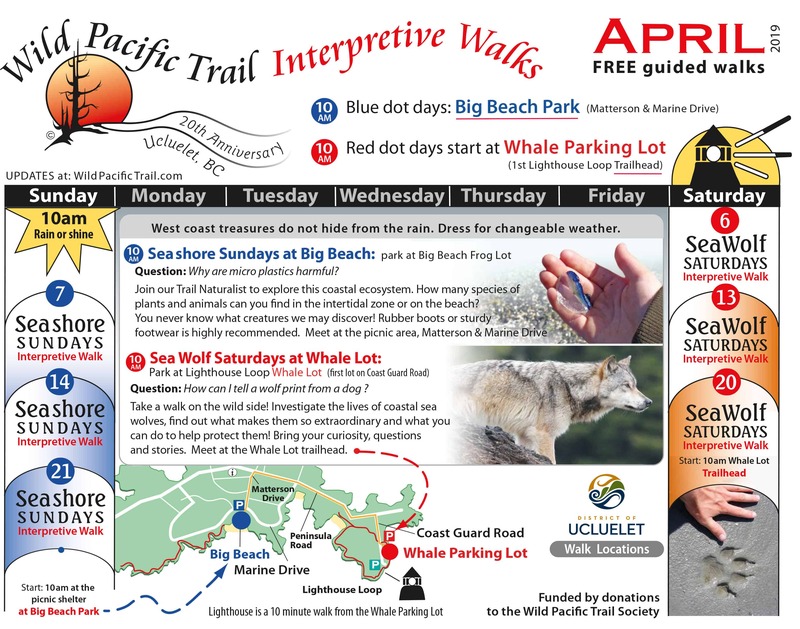 Sea Wolf Saturdays: 10am Park at Lighthouse Loop Whale Lot (First lot of the Lighthouse Loop on Coast Guard Road). Take a walk on the wild side! Investigate the lives of coastal sea wolves, find out what makes them so extraordinary and what you can do to help protect them! Bring your curiosity, questions and stories. Meet at the Whale Lot trailhead along the Lighthouse Loop. West coast treasures do not hide from the rain. Dress for changeable weather.